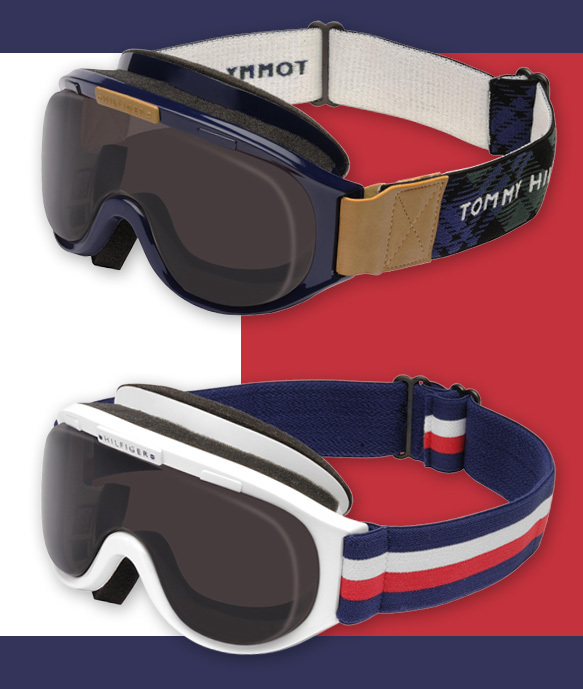 They might be new to the ski goggle scene, but Tommy Hilfiger totally nailed it when it came to the design of their brand new goggles. Made for all levels of skiing and snowboarding enthusiasts, Tommy Hilfiger’s must-have designs will arm you with fearless style to tackle any slope, whether it’s a double black diamond or the bunny hill. Adorned with the unmistakable Tommy Hilfiger flag, red, white and blue stripes or the preppy tartan plaid pattern, these goggles are all about staying within the parameters of the brand’s “classic, cool American” styling. Besides making sure you’re best dressed at the ski lodge, Tommy’s goggles provide practical protection against the elements including a rounded wraparound shape and double cylindrical polycarbonate lenses along with anti-scratch and -fog coatings to eliminate possible visual distortions. These ‘70s inspired goggles are just what you need for your upcoming winter escape. Pick them up at Tommy Hilfiger stores or at Solstice Sunglass Boutiques.